Novikova Lyudmila Kirillovna Senior Lecturer of the Department of the GMPI. Born in the Orenburg region, in the family of a military officer. 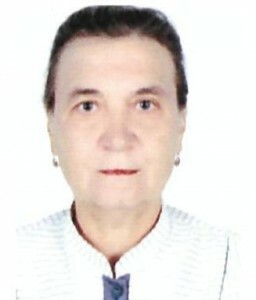 Novikova Lyudmila Kirillovna began her labor activity in p / o Ekibastuzugol, after graduating from the Karaganda Polytechnic Institute with honors in 1982. In 1985 she entered the graduate school of the All-Union Scientific Research Institute of Geomechanics and Surveying (VNIMI) in Leningrad. After defending a thesis in 1994. Awarded the degree of Candidate of Technical Sciences in the specialty 25.00.16 – “Mining and oil and gas field geology, geophysics, surveying and subsoil geometry”. She worked as a research officer at the Kazakh branch of the All-Russia Scientific-Research Institute of Scientific Research, and at the Institute of Complex Mineral Exploration. The total work experience of L.K. Novikova -32 years (since 1982), scientific and pedagogical – 26 years (since 1987). He has 43 scientific works. She has completed advanced training courses on the GTZ program and has certificates.